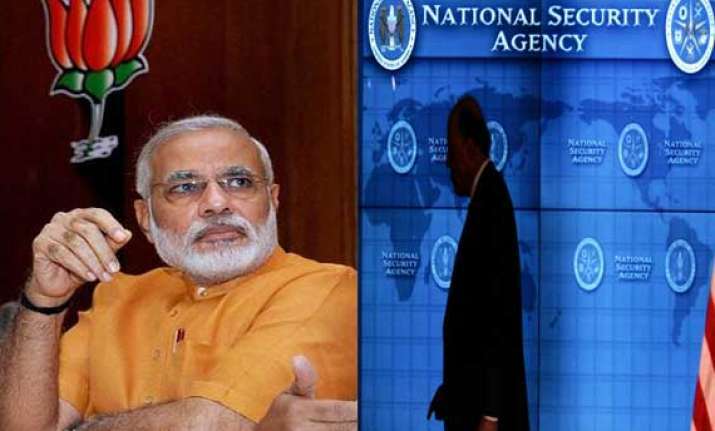 New Delhi: A classified document revealed on Monday shows that US spy agency, National Security Agency (NSA), had been sanctioned to spy on most countries and some international bodies and political parties. Under a 2010 certification approved by the Foreign Intelligence Surveillance Court (FISA), NSA was permitted to spy on 193 foreign governments as well as foreign factions, political organizations and other entities, Washington Post reported. According to the report, India's ruling Bharatiya Janata Party was included in a top-secret list of six non-U.S. political parties worldwide that the U.S. National Security Agency received official permission to covertly spy upon. According to the latest trove of data released to the media by Edward Snowden, former NSA contractor-turned fugitive whistleblower, the U.S.' shadowy Foreign Intelligence Surveillance Act (FISA) court gave the NSA “broad leeway” in conducting surveillance upon not only these six political parties but also a list of 193 foreign governments. Besides foreign countries, governments and political organizations NSA was also authorized to spy on international bodies such as the UN, the International Atomic Energy Agency, the World Bank, the International Monetary Fund, the Asian Development Bank and many others.